There’s only one thing you’ll have a hard time finding in Andersonville–a big chain store. 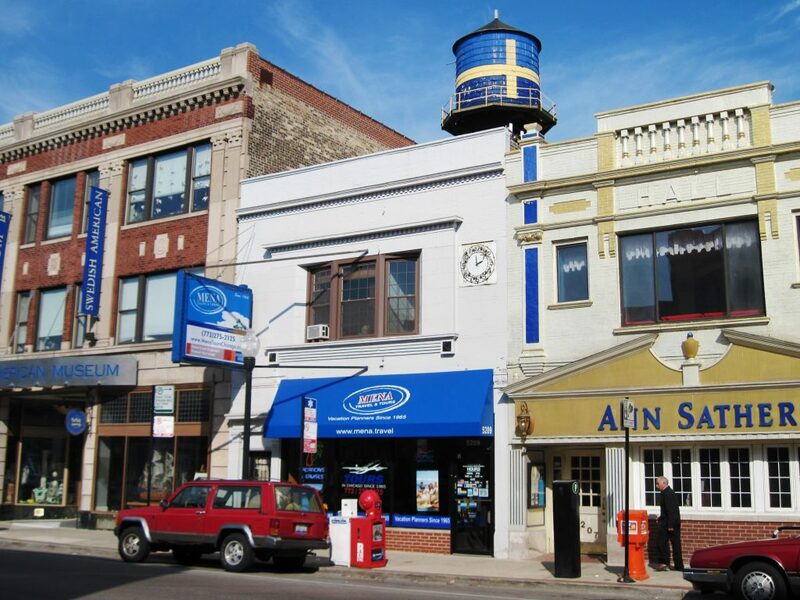 Located on the north edge of Chicago, close to the lake, Andersonville is home to all kinds of personalities and lifestyles. It’s also home to restaurants, amenities, and performance spaces unlike anything else in the city, plus specialty shops for every interest. As your reliable Andersonville movers, we’ll help you settle in your historic brownstone apartment while you get to know your eclectic neighbors. It won’t be long before you become a unique part of the community yourself. About 67,000 people live in Andersonville, and they earn around $67k a year on average. There are a few more men than women, and about a sixth of the neighborhood households have kids. Most Andersonvillites, average age of 35, also have bachelor’s degrees. Andersonville was originally settled by Swedish immigrants in the 19th century, when it was officially outside the Chicago city limits. After the Chicago fire of 1871, more Swedes moved up to the neighborhood to build new homes and join their compatriots. Andersonville flourished as a Swedish community until the mid-20th century, when residents began to move out to the suburbs. After it was rededicated by Chicago in 1964, an influx of new groups started making Andersonville what it is today. Now you’ve got the gist, here are some highlights—and basics—we found to help you start your Andersonville life. Andersonville Playlot Park, Mellin Playlot Park: Playgrounds. Winnemac Park: More green space, just over in Edgewater. Swedish-American Museum: Local history, low admission. Neo-Futurarium: Hosts the longest-running theater show in Chicago. Andersonville Galleria: Artistic mall. Browse or buy. Foursided: Frame shop that’s perfect for Andersonville apartments. Woolly Mammoth Antiques and Oddities: There’s always something different. Pizza: Antica Pizzeria. Authentic. Delivers. Middle Eastern: Taste of Lebanon. Cash only, but you won’t need much cash. Swedish: Svea Restaurant. Diner, great for late weekend mornings. Ethiopian: Lalibela. Trimmed-down menu. BYOB. Southern USA: Big Jones. Hosts events. Sandwiches: Jerry’s Sandwiches. 100+ options and full drink menu, too. Brunch: M Henry. Be ready to wait. BYOB. Night Out: Jin Ju. Contemporary Korean with intimate ambiance. Beer: Hopleaf. Frites, mussels, and events. Adults only. Irish: Lady Gregory’s. Full menu, family friendly. Everything: Little Bad Wolf. Famous for burgers and other things. Serves food late. Games: Replay Andersonville. Classic arcade games, plus sports watching. Kids welcome in daytime. Classic: Simon’s Tavern. 80 years and counting. Serves glogg. Jewel Osco: Ashland store open 24/7. Edgewater Produce: Independent. Mexican groceries. Old World Market: Specialty foods and spices. La Colombe: Small chain serves lattes on tap. The Coffee Studio: Also serves alcohol. True North: Nutritious menu and local decor. First Slice Pie Cafe: Good for lunch, too. Cheetah Gym Andersonville: Full equipment and unique group classes. Andersonville Fit Body Bootcamp: Hosts group boot camp program. Kru Strength and Fitness: Personal training and group classes. This has been a tiny sampling of the great things you’ll experience at your new Andersonville home. As a seasoned Andersonville moving company, we’ve learned all about the staples and cool places in the area. We’re happy to share more! As you’re planning your big move, cross one major thing off your to-do list, and book Andersonville movers who’ll a take load of stress off your mind. Call us at New City Moving, and we’ll help you move safely, smoothly, and on-schedule, so you can settle right in and start living your greatest Andersonville life.